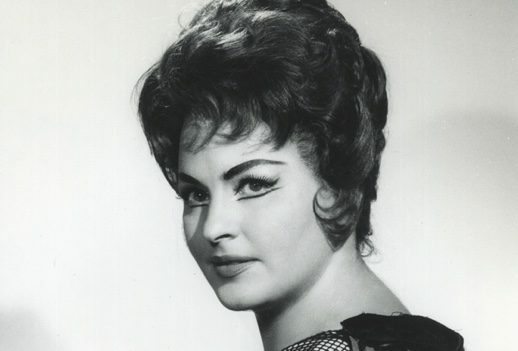 On this day in 1966 soprano Pilar Lorengar made her Metropolitan Opera debut as Donna Elvira. Miss Lorengar is no stranger to the operatic stage. She has sung in the major opera houses abroad and made her American operatic debut last season singing the role of Liu in Puccini’s “Turandot” with the San Francisco Opera. Last evening Miss Lorengar made clear why she has garnered a steadily growing reputation, and why Spanish sopranos are, these days, stealing a good deal of the thunder from their better known Italian counterparts. It is a question of vocal quality. De los Angeles, Berganza, and Caballe have each distinguished themselves via a pure and liquid sound that is as uniquely feminine as it is dramatically convincing. They seem to involve their entire physical and psychological makeup to bring a role to life, and Pilar Lorengar does no less. Her Donna Elvira was all woman-anguished, revengeful and passionate. Being beautiful and moving with extraordinary grace, Miss Lorengar lent to the role and additional sense of vulnerability, which gave her interpretation further believability. As for the voice, that fiendish first-act aria being what it is, the soprano handled it with as much control as a debut night would allow. Ultimately, total control and composure were hers and a velvet-smooth instrument was permitted to create its magic. That magic was sustained throughout the performance and one can only submit that Pilar Lorengar is yet another shimmering operatic star on the ascendance.